Last year we successfully ran a crowdfunding campaign to record our debut album. The CD is available now! who opted for the VIP package. 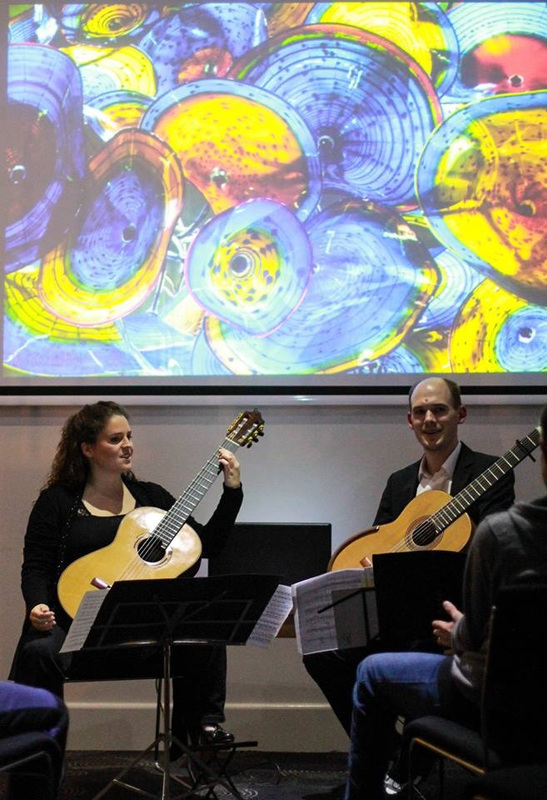 We formed the Duo Amythis in 2009, developing repertoire and gaining experience with concerts and study. After a wildly successful world tour in 2015, we felt like we had a program that had to be recorded, and we absolutely needed help from our fans! So we organised a crowdfunding campaign that we concluded a few months ago. Many of you requested recordings of every piece in our repertoire. From the fiery Spanish set by De Falla and Albéniz, to the mesmerising and colourful Wave Radiance. As a special highlight, the album also includes the world-première recording of "When buds are breaking" by Johannes Möller. Our debut album, including works by Falla, Albeniz, Möller, Houghton, Grainger and Bogdanovic.